© Catie Farrell. All rights reserved. 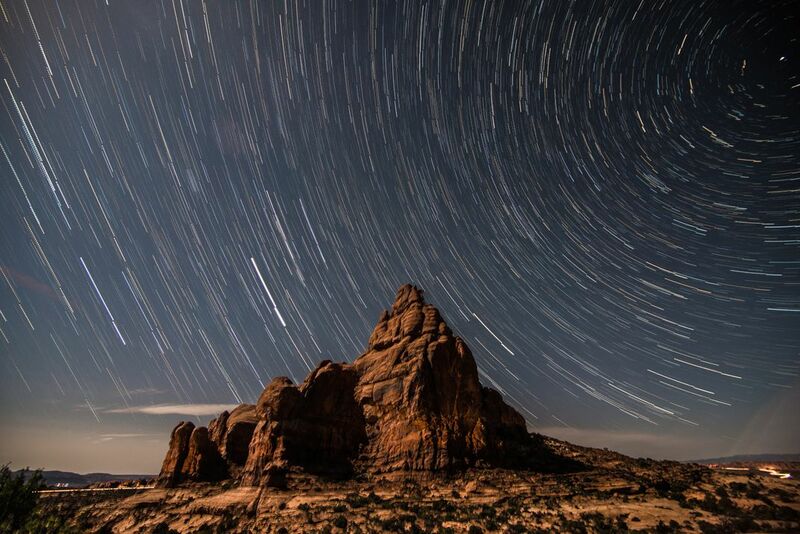 Stayed up all night in Arches National Park in Moab, Utah. Taken May 9, 2014 after 1 AM. The moon illuminated the landscape giving a very cool effect. First star trail ever shot. Date Uploaded: May 23, 2014, 10:26 p.m.